Williams-Stewart Makes History for Newham Swords!! 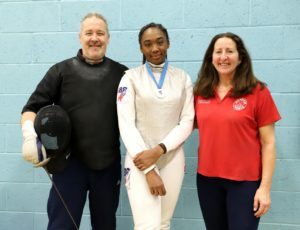 Newham Swords made history on 26th January 2019 when Teagan Williams-Stewart, the current GB Cadet Number 1, gained a silver medal at the Rome U17 International. This was not only a personal best for Williams-Stewart but also an historical result as no other U20 female foilist in the country has ever achieved this in the history of the sport. “This is a monumental result for Teagan and the Club and well deserved given Teagan’s hard work over the last twelve months”, said Head Coach, Pierre Harper. “This result comes at the end of an excellent cadet and junior season for Williams-Stewart who has not only won every single U17 and U20 British Ranking competition since September, but has also gained selection for every single U17 and U20 World Cup this season” added Club Manager, Linda Strachan. Following her fantastic results this season, Williams-Stewart has now been selected for the Cadet and Junior World Championships which will take place in Poland next month. 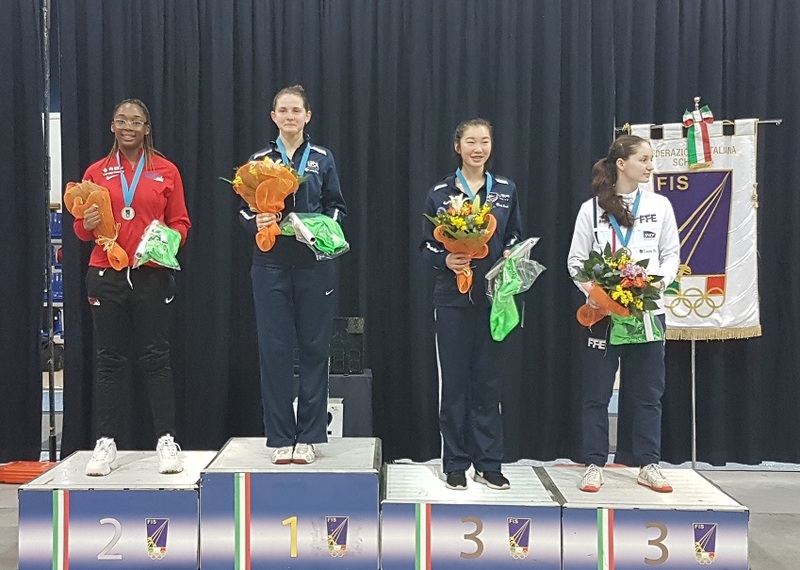 Teagan Williams-Stewart on the Silver Podium at the Rome U17 International. ← Newham Swords GB Girls Make a Clean Sweep at FCL U20 BRC! Newham Swords GB Girls Make a Clean Sweep at FCL U20 BRC!